The Greenbush Route is a self-guided bike tour beginning in Harrisville with an 11-mile loop and a 17-mile loop. 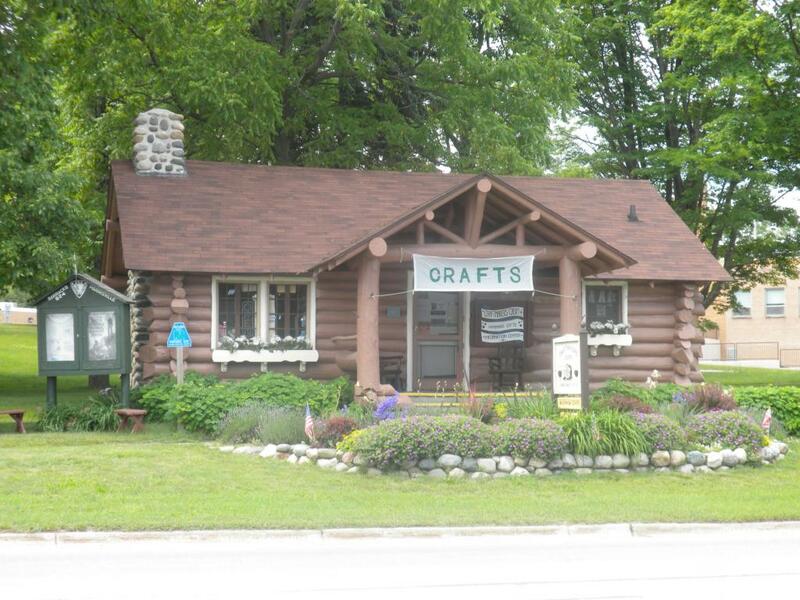 Begin by meandering the quaint streets of Harrisville as you visit historic buildings such as the Old Place Inn, Hollyhock Quilt Shoppe, and Craftmaker's Cabin. Don't miss the United Methodist Church where the stained glass windows date from 1924! Continue south along Heritage 23 to the community of Greenbush (be sure to steer near the quilt trail panel!). Both loops of the tour take you near the pristine waters of Cedar Lake. 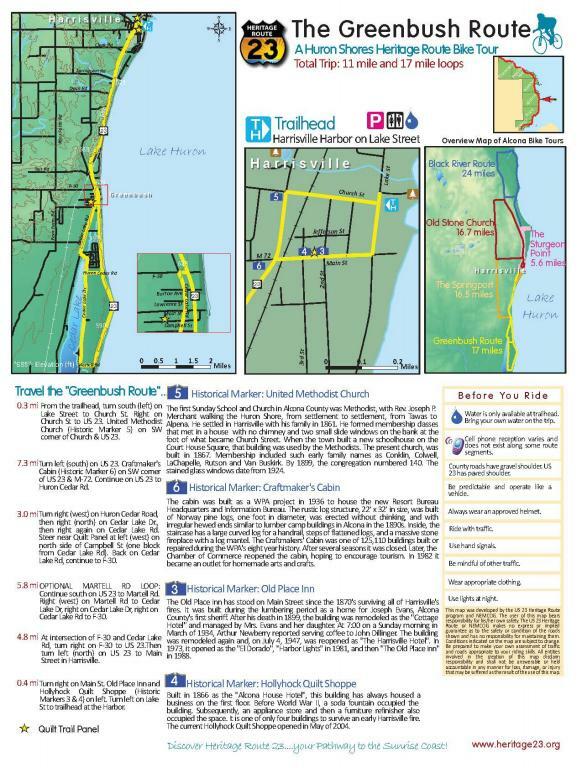 Download The Greenbush Route Map to begin your tour!